Are you looking for curriculum ideas for your 6, 7 or 8-year-old? After homeschooling her two older siblings, I am now homeschooling my youngest with curriculum I think is well-done and a good fit for her. Additionally, it costs less than $100. We are eclectic homeschoolers and try to pull from the best of each homeschool philosophy as well as the best publishers. Writing with Ease Workbook: Level 1 is a favorite of my daughter’s. It provides copywork, dictation and narration assignments as well as reading passages from classic children’s literature. I like that it is also entirely scripted so that I do not need to prepare. The publisher states the workbook lessons “are the only materials you’ll need to provide your student with a complete first year of writing instruction. ” Tip: If your child doesn’t remember a detail from the passage you read when you question her, you may gently give her the information and allow her to answer the question back to you in a complete sentence. 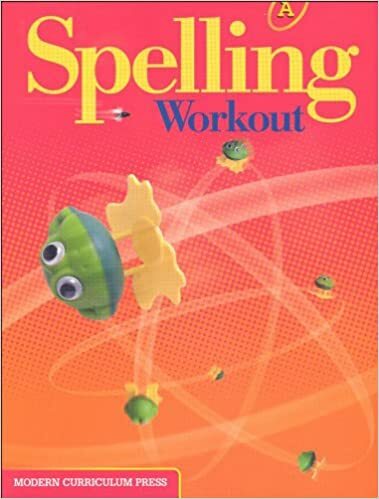 Spelling Workout A is a phonics-based program with a variety of activities including riddles and puzzles. I do not buy the teacher’s manual, and she is able to do most of this independently. Reading for Comprehension: Level B is full of short, fun, non-fiction articles and questions to reinforce reading skills. My daughter enjoys this book a lot, and it builds her confidence. She works on this independently. 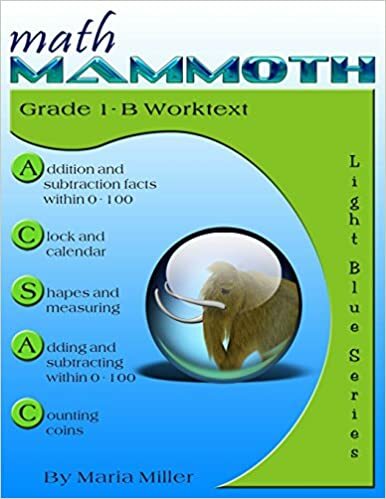 Math Mammoth by Dr. Maria Miller is a mastery-based curriculum that focuses on conceptual understanding, number sense and mental math. It is largely self-teaching and requires little involvement from me. I do not find it necessary to purchase a teacher’s manual for this age. I pay a couple dollars more for the more visually-appealing color version instead of just the black-and-white. Reading–We do not use a reading curriculum or sight words flashcards. Rather, we go the library often and pick out loads of fun books. We snuggle together and she reads to me. Learning to read and enjoy books organically is so beautiful! Science–We explore science out in the world. We are in a nature group that gets together weekly. Additionally, my daughter takes a physics/chemistry class at our co-op as well as marine science at a facility on the Pacific Ocean. Hands-on is best, in my opinion. History–We are big fans of living books, field trips and travel for our history studies. We follow the classical method of studying history chronologically. I highly recommend Story of the World audiobooks. Additionally, I appreciate the many wonderful book lists from Charlotte Mason inspired groups. Literature and Read-Alouds–One of my favorite things about homeschooling is reading aloud to my children. It is a tremendous bonding activity for our family as we go on so many book adventures together. During snack and meal times, I read from a variety of great books. The morning includes most of our non-ficton. Later in the day, we shift to novels. I hope you found this post useful if you are homeschooling or considering homeschooling your first or second grader. You can see that you can give your child a quality education spending very little money. An upcoming blog post will reveal the curriculum used in our home for our 10 and 11-year-old children. Excellent information for a NEW to home school mom like me. I would also like know what you did before first grade. Prek – kinder years…. Great helpful post, thank you !!!!! For those pre-K years, I think the most important things are to read aloud a lot and experience the world. Foster a loving relationship and a love of learning. Depending on the readiness of your child, you can start with Teach Your Child to Read in 100 Easy Lessons as young as 4. However, some kids aren’t ready for that until they are 5 or 6. It depends on the child. Thanks for sharing. What have been some of your favorite read-alouds? I love your entry on reading. Snuggling with my kids and good books is what taught them to read, not drills. The library is practically a candy store to them now! I didn’t realize you are in California as well! Love the post. Keep up the good work! Thank you so much for the encouragement! Isn’t that awesome your kids love the library so much!!!! Mine do, too. Today, I was speaking with a friend who grew up in Honduras. She told me she only had one book, and there were no libraries. Her family lives in the US now and treasures books. They love going to thrift stores to buy many for their library.